The Basic Law of Saudi Arabia (Alternative name: Basic System of Governance) is a constitution-like charter divided into nine chapters, consisting of 83 articles. 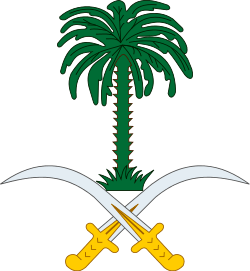 The constitution of Saudi Arabia is "the Holy Qur'an, and the Sunna (Traditions)" of the Islamic prophet Muhammad, (as stated in Article One of the Basic Law), but the Basic Law contains many characteristics of what might be called a constitution in other countries ("The Law of Governance", "Rights and Duties"). The Basic Law is in accordance with the Salafi understanding of Sharia and does not override Islamic laws. First: Issue the Basic System of Governance according to the context herein below. Third: The Basic System of Governance shall be published in the official journal and shall be enforceable as of the date of its publication. The Consultative Council also came to life about a year after in the light of the emerging conditions affecting the country after the war. Article 1 states that "God's Book and the Sunna of His Prophet" are the country's constitution and Arabic is the official language with the capital at Riyadh. Article 7 proclaims the rights of the monarch. Next, per Article 8, "justice, consultation, and equality" shall be in accordance with Sharia. Article 9 states that all members of each family in Saudi Arabia shall be reared "on the basis of the Islamic faith." Article 18 guards the private property of citizens. Article 21 calls for an "alms tax". Article 27 establishes a "system of social security"; It has become feasible without expropriation and high taxes due to the large supplies of oil and a population of fewer than 30 million people. Article 45 affirms that religious rulings must be in accordance with the " Holy Qur'an and the Prophet's Sunna." To this end, a panel of Islamic clergy and research group shall be established. According to Article 55, the king must "rule according to the rulings of Islam and shall supervise the application of Sharia." Article 56 states that the king is also the prime minister. Article 57 makes it clear that the king's cabinet and other lower-ranking officials must follow Islam. Those who deviate from this can be dismissed or punished. Article 71 specifies that revenue is entered and spent according to rules of statutes which will be published regularly in the Official Gazette per Article 70. Article 79-80 concerns control bodies. Control bodies will be established to ensure good financial and administrative management of state assets. Article 82 makes it clear that a temporary state of emergency during turmoil cannot violate Article 7 (Qur'an and sunnah). The Basic Law was drafted by an ad hoc committee of the interior ministry, which Human Rights Watch accuses of egregious violations of human rights. In the eighteenth century Muhammad bin Saud and Muhammad bin Abdul Wahhab integrated all the political and religious institutions into one governing body. The government of Saudi Arabia reserves numerous jobs for the clergy that range from preaching to judgeships. Islamic clergy (ulema) such as muftis and sheikhs, who dominate Saudi Arabian legal positions, make use of the Basic Law in addition to the Qur'an, hadith, sunnah, and Islamic jurisprudence which all fall within sharia. Discussion of discrimination against women and their status as second class citizens has for a long time been a taboo, untouchable even by the highest of state authorities in the country despite all the misery and suffering of women for no reason other than their having been born female. Saudi writer and journalist Wajeha Al-Huwaider writes that "Saudi women are weak, no matter how high their status, even the 'pampered' ones among them - because they have no law to protect them from attack by anyone. The oppression of women and the effacement of their selfhood is a flaw affecting most homes in Saudi Arabia." ↑ Group, Taylor & Francis (2003-10-30). The Middle East and North Africa 2004. Psychology Press. ISBN 9781857431841. ↑ "Saudi Arabia: Gross human rights abuses against women". amnesty.org. ↑ "Saudi Writer and Journalist Wajeha Al-Huwaider Fights for Women's Rights".